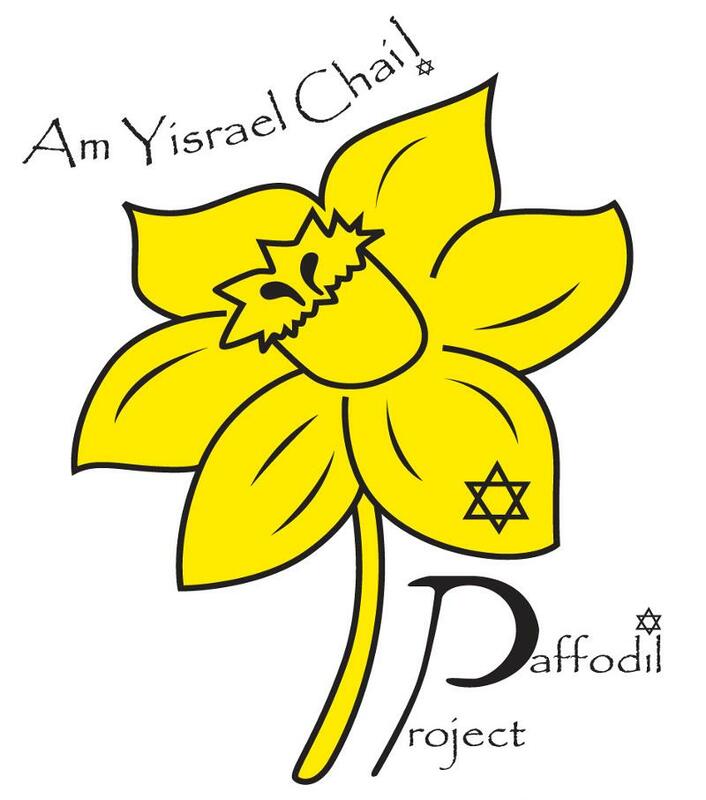 Central Atlanta Progress, in conjunction with Am Yisrael Chai!, produces the annual Downtown Daffodil Project in support of the worldwide Daffodil Project. The Daffodil Project aims to build a Living Holocaust Memorial by planting 1.5 million daffodils around the world to remember and represent the one and a half million children who died in Nazi-occupied Europe and bring awareness to those currently suffering human rights crises throughout the world. The Downtown Daffodil Project contributes to the worldwide effort by creating a “ribbon of consciousness” between the Center for Civil and Human Rights and the King Center. The Project continues to grow, now at 275,000 daffodils across the center city. In support of the Daffodil Project, the Daffodil Celebration takes place in Downtown Atlanta every year in early spring. We work with community partners to celebrate and raise awareness of this project through events, self-guided tours, and photography contests. In the fall, during bulb planting season, we host the Downtown Daffodil Dash 5K, a race and fun run that begins and ends in Woodruff Park, to raise awareness and funds for the Project. CAP/ADID and community partners have thoughtfully grown the Downtown Daffodil Project since its 2014 inception. In an effort to kick-start the Downtown vision, 20,000 daffodils were planted in 2014 in Woodruff Park, the city’s historic center. 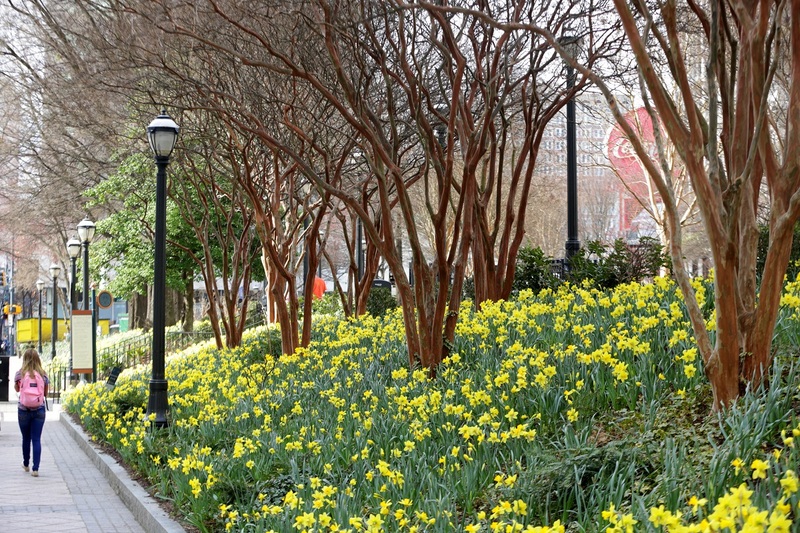 An additional 90,000 daffodils were planted throughout Downtown Atlanta, resulting in over 100,000 daffodils in bloom throughout Downtown in spring 2015. The Downtown Daffodil Project continued to grow and bloom in 2016. On January 24, 40 volunteers planted 2,000 daffodil bulbs at the National Center for Civil and Human Rights. So far, over 175,00 daffodils have been planted in Downtown Atlanta. The Downtown Daffodil Project celebrated continued growth in its 2016-2017 season. With a planting of 65,000 new bulbs, Downtown daffodils totaled 240,000. An exciting addition to the Downtown Daffodil Project was the inaugural Downtown Daffodil Dash 5K, a race and fun run that took place on November 11. 30,000 more daffodil bulbs were planted in the 2017-2018 planting season, and Downtowners were be able to enjoy the blooming of 275,000 daffodils in the spring. The Downtown Daffodil Celebration was observed February 15-March 15, and the second annual Downtown Daffodil Dash took place on Sunday, November 4. View the daffodil planting map here. Central Atlanta Progress, the Atlanta Downtown Improvement District, Am Yisrael Chai, Gibbs Landscape Co.